Cape Town - Cape Town is fast becoming a city not only living up to its name but also to its full potential. Tourists flock to South Africa and Cape Town in particular, as the latest tourism stats indicate, as well as the recent 10m passenger mile-stone achieved by Cape Town International Airport. It is a celebrated city, with wonderful places and great lifestyle, where some of the South Africa's leading attractions and iconic locations, like Table Mountain and fast-growing ones like Khayelitsha, are located. 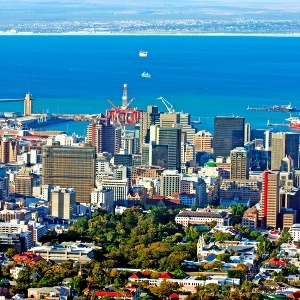 Yet it is often referred to as the city where the legacy of apartheid is most evident, due to deep poverty and social problems, there is no denying that the city of Cape Town is undergoing some serious changes. But the Mother city is truly in the throes of a number of large-scale developments, with the aim of changing it for the better, something both locals and tourists visiting our country have witnessed as well as can expect to appreciate going forward. Yes, the city is often said to be primarily influenced by Europe, with a euro-centric feel. But recent times has seen a shift to the significant African cultural influence, with successful redevelopment and re-appropriation through initiatives to make them open spaces enjoyed by all - locals as well as tourists alike. Attending a recent talk which was held at the Cape Craft and Design Institute (CCDI) on Thursday, 04 May, a Transit Oriented Development (TOD) initiative highlighted the fact that, although Cape Town might seem highly influence by other development and international cities and countries, we should not forget that it is not those places and that it has its own plans, aimed at improving the city without any comparison. A new initiative known as the Intergration Syndicate is tackling it at the very core - aiming to find solutions around what it terms "stubborn spatial patterns in order to effect meaningful change"
The initiative - entailing a series of ten “episodes” which will take place once a month - is being spearheaded by African Centre for Cities (ACC) under development expert, Professor Edgar Pieterse and hopes to "spark informed debate about the drivers of spatial injustice and more importantly, to find remedies". Thankfully, various initiatives in and around the Mother City are re-appropriating the 'bad' streets of the city, making them open spaces to be enjoyed by all. And while transport service is also much of concern and frustration in many parts of South Africa, however, Cape Town has seen much of a difference, following the release of a map of 567 unique routes driven by minibuses every day in Cape Town, providing millions of residents access to fares, routes, and frequency of the taxis. "We believe that the information challenge in our cities undermines our infrastructure. We want to make the systems that exist more accessible for everyone,' says co-ordinator of the project, Graeme Leighton. Added to this, socio- economic change is a hot topic due to high rate of unemployment in Cape Town and SA as a whole. But recently appointed Minster of Tourism, Thokozile Xasa is encouraging people living in townships to take part and help SA tourism get to great lengths, especially in areas like Khayelitsha. "For us to realise radical economic transformation we must have inclusive economic growth"
Xasa raised points of how tourism in SA could grow and better community members as well as SMME’s need to participate and make not only townships but the whole city more welcoming for tourists.